Ca'Savio is a wonderful camping site that is perfect for families and for couples. It is located in a pine forest, a short distance from Verona and is open throughout the summer with space for over 800 pitches. There is plenty of shade in the forest, under which high-quality mobile homes can be found. There are a variety of styles and sizes available, to match every different camping holiday. Why is Ca'Savio LUX-camp the Best Site For You? There is a wide variety of places to visit around the Camping Ca'Savio campsite. Venice is a city that is famous all around the world for its waterways and ancient architecture. The stunning old town is only a stone's throw from the campsite, and is a perfect excuse for an excursion. Also near the site are the Dolomite mountains, which are filled with walking trails and other outdoor activities. Camping Ca'Savio run a kids club for children, meaning that they can spend the holiday having fun and completing different activities. 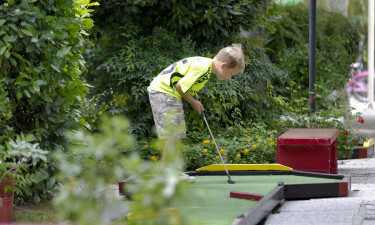 A team of highly trained staff will look after your little ones, engaging them in sandcastle competitions, and playing mini golf. There is a playground, a bouncy castle, and magic and music shows during the evening. Camping Ca'Savio is a luxury camping site with a large pool complex that will keep both kids and adults entertained. The first pool has a large pirate ship, which your children will want to play in all day long. Another pool is placed in the middle where a big waterslide and a big splashing fountain from a barrel is to found. 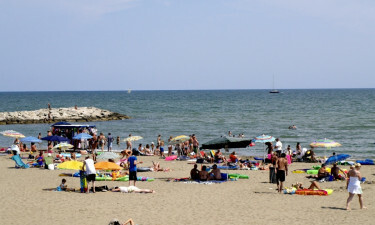 Furthermore there is a family pool for everyone to enjoy.The beach is just next to the campsite and features almost 1km of beautiful sand. Camping Ca'Savio offers power, water, and internet to all of its holidaymakers. There are washing and drying facilities, which are conveniently located. There are individual washing cubicles, and there is wheelchair access to sanitary facilities. As for activities, there are bikes for hire; these are perfect for travelling around the site and exploring the local area. There are two restaurants available on site. The first is a traditional pizzeria and grill that serves fresh pasta, pizza, and grilled fish and meats. This restaurant also caters to people with food allergies. The second restaurant is a smaller, cafe-style establishment that serves food, drink, and snacks. There is also a bar and a pub that sells a variety of alcoholic and soft drinks, including beer wine, and cocktails. At Ca'Savio holiday camping site there is a small supermarket that offers a wide variety of foods and drinks. 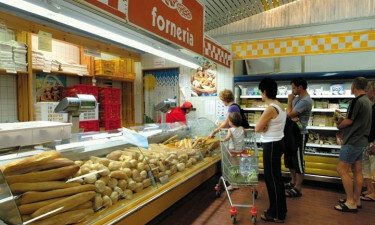 The shop stocks all your basic groceries, such as bread, cheese, milk and vegetables, as well as locally produced wine.